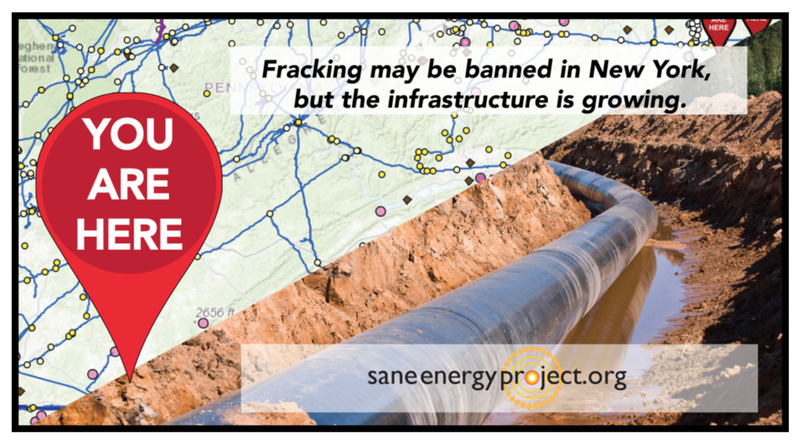 Sane Energy Project is committed to replacing fracked gas infrastructure with community-led, sustainable energy. We oppose the development, transport and export of fracked gas (“natural gas”) in favor of an urgent and just transition to a renewable economy with the goal of zero fossil fuel or nuclear dependence. Explore to learn more about our grassroots activism and community advocacy that fights for a sane energy future. Read and share our in-depth reporting from voices across our region. Read articles from Our Sane VOICE! Our training and art empower communities to lead the fight for community energy infrastructure. Sane Energy is leading the campaign to bring Offshore Wind to New York State. Our interactive map shows you each and every pipeline criss-crossing NY State, and connects you to the communities fighting them.